Regular reader Chris A., was looking for a solution to a long standing problem. Chris had a need to “create a daily backup of an Access database and, to keep adding daily copies instead of overwriting the existing copy each time” – automatically, and in the background. As it turns out, Chris and I were in the same boat. I have a need to copy/backup several selected files/folders (including Blog posts and drafts) to a secondary drive on a daily basis. Up to now, I’ve simply done a simple manual “copy to” – when I remember to do so, that is. “When I remember to do so” is more than a little haphazard and, I’ve occasionally paid the price through one system misadventure or another. Always a major bummer, that. As in all things tech, there is a free solution. 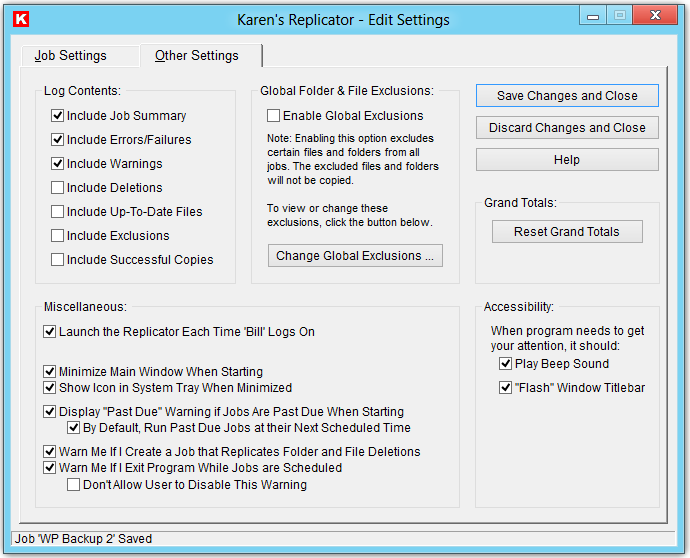 A solution Chris has recommended to me (thanks Chris) – Karen’s Replicator – which, if you have a similar need to copy/backup selected files/folders on a manual or scheduled basis, might be a perfect fit for you. 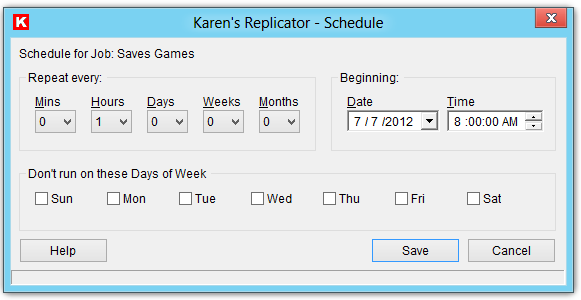 I’m into simple solutions – and, Karen’s Replicator is just that – easy and straightforward. 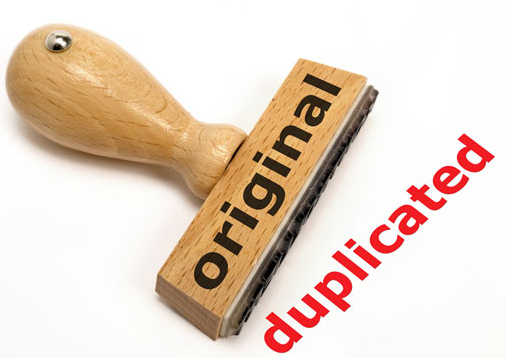 Copying or backing up a folder, including subfolders, scheduled or manual – or a bushel of files/folders if you like, is driven by a fairly simple GUI. Launching the applications brings up the following window allowing you to enable or disable jobs, manually run a job, view the Replicator’s log file, or change the program’s settings. Since I’m most interested in scheduling the task of auto copying my Weblog Posts, in this test I set the application to start at 1:00 AM on July 8. I subsequently changed the time to 9:15 AM on July 7, and added an additional save location (not shown in this screen capture). Both jobs were completed successfully in 63 ms.
A quick check to ensure that the relevant files have in fact been copied over. 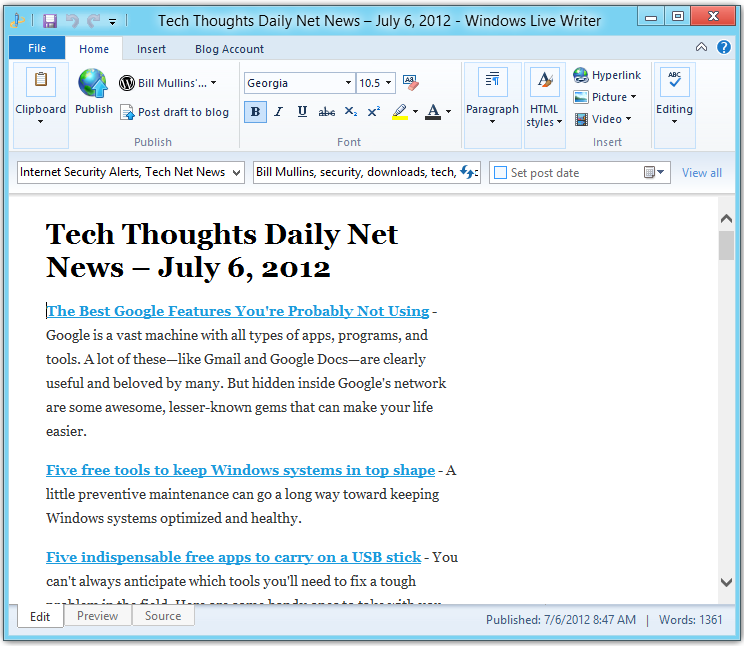 And, a further test to ensure that the copied files can be opened in Windows Live Writer. Scheduling a job, or series of jobs, can easily be accomplished from within the schedule window – illustrated below. You can easily adjust customized job and application settings from the “Edit Settings” window. In a short review, it’s rarely possible to cover all of the benefits of a particular application – and, this short review is no different. 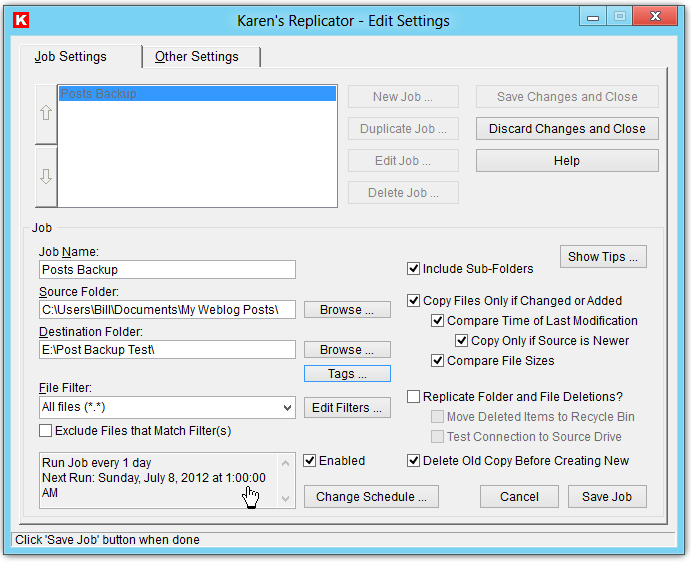 Karen’s Replicator has additional functionality other than the features I’ve highlighted here – which, you will no doubt discover should you add this super freebie to your utility toolbox. System requirements: Windows XP, Vista, Win 7 (tested on Win 8). Karen’s Power Tools web site has a wealth of additional free utilities that you might find useful. Thanks Sunnyace. I appreciate the reblog. A couple of years ago I had to create hourly backups and daily backups of data from a timeclock program. 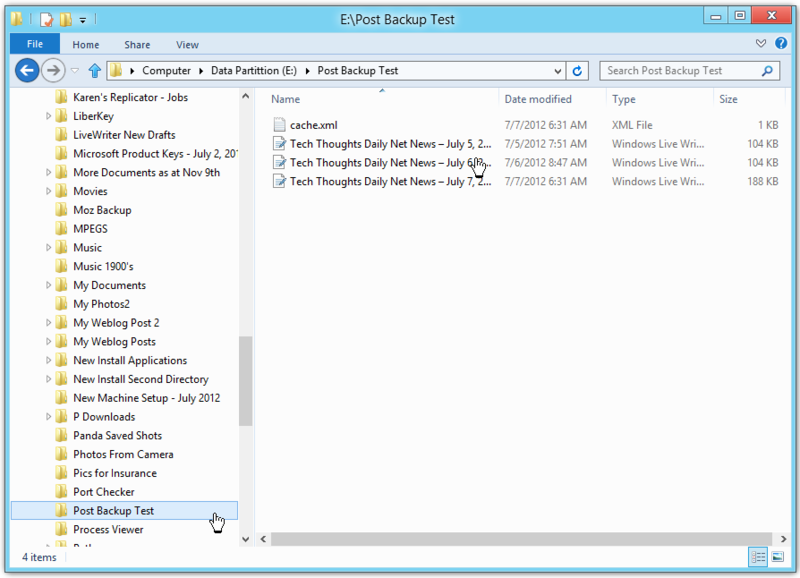 The hourly backups had to overwrite the current day’s backup, but the daily backups were to be filed by date. I wound up writing a batch file that ran hourly (using windows scheduler on a server) to keep current info, and wrote a different batch file for the daily backups that included the current date in a new folder name, and ran once a night, just after midnight (also using windows scheduler). That was a pain to do and way beyond what most people would be willing to do. I’d looked at a number of programs to do that, and Karen’s Replicator was one of the ones that stood out from the others, though it didn’t quite meet my particular needs at that time. Sadly, Karen passed away. While her site is still maintained (by her brother, I believe), I don’t think the programs are updated anymore. The legacy she’s left behind includes many people who have benefitted from her kindness in providing free and worthwhile programs. I’m truly saddened to hear that unfortunate news. I’d planned to get in touch in the near future. I have great admiration for techie women. As you say – she has left a legacy of kindness and caring. There’s something to be learned from that. You’re right, most users (including me), would rather seek out pre-built solutions rather than write a batch file. Did lots of that back in the DOS days. Kind of miss it in a way. This is a nice tribute to Karen (who wrote for Windows Magazine)… I even followed her when she was with them years ago and actually used this very program to perform a backup routine across a network. I was shocked when she passed on (in April 2011). Very sad news indeed. She developed a terrific set of utilities and added, I expect, a certain validity to the idea that women are as capable as men in IT. 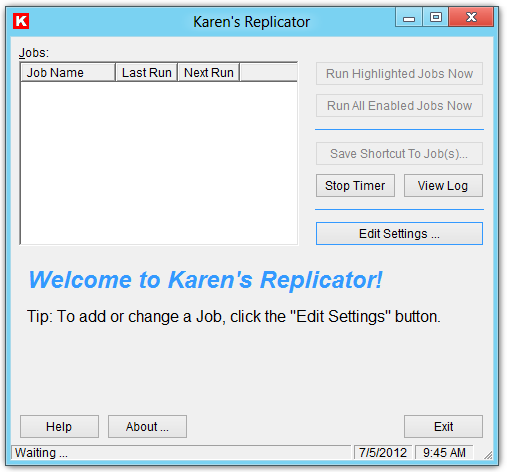 Your experience in using Replicator on a network job, is impressive. It points out that there’s a lot more under the hood in this app than I managed to cover in the review. BTW, thanks for the linkback. This looks like a great program for syncing folders, straightforward and easy. I have been using syncback up until now. You should check it out. Yep, you’re right – I should checkout syncback. Will do.